Here is our fifth interview with Dr. Richa Katiyar, who is one of the leading IVF and infertility specialists in India . She completed her MD from All India Institute of Medical Sciences (AIIMS) and has a Fellowship in Assisted Reproductive Technologies from University of Kiel, Germany. 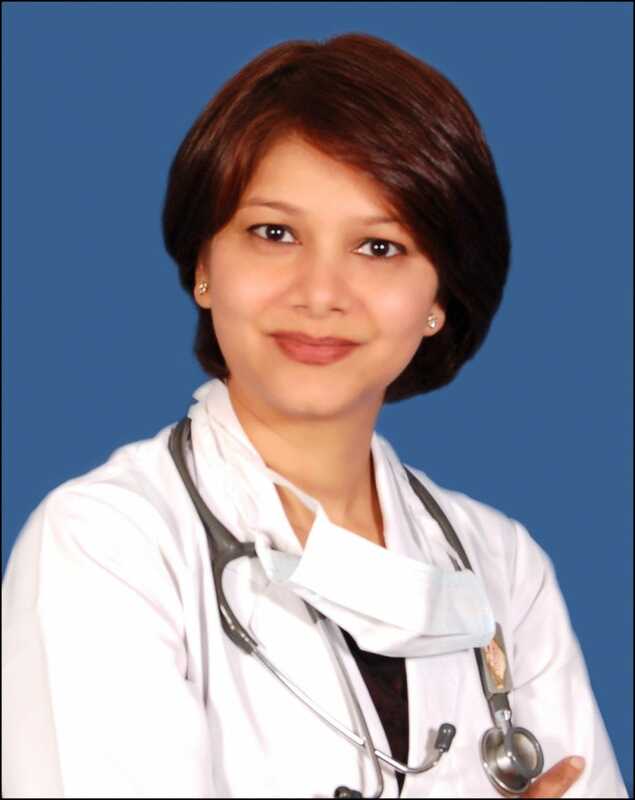 As an IVF specialist in India, Dr. Richa writes articles and columns for international journals, scientific publications, presentations and newspapers. She has appeared regularly on discussions on Health on NDTV Metro Nation, ETV, Focus TV and Nation News. She also writes for Yahoo Contributors Network, Wikianswers and Upublish. As part of her social responsibility, Dr. Richa has been regularly working with Nanda Charitable Hospital, Chattarpur, for the past 7 years, providing expert medical care to underprivileged women. She is based in New Delhi, India. For more information, you can visit her website. A. The following questions are related views on the status of health in India. 1. According to you, what should be a top health priority in India? A top health priority in India should be cervical cancer, its early diagnosis and prevention. While breast cancer is the number one cancer affecting women in developed countries, cervical cancer is more common in India. Unfortunately, awareness about this cancer is low. There are three very important facts about this cancer. First, there is a vaccine available in the market, which gives up to 95 percent protection from Human Papilloma Virus, which is the most important causative factor. Second, this cancer can be diagnosed at a very early stage by simple tests such as Pap smears. Third, once diagnosed early, it is completely treatable. With attention and help from the Government of India and the private sector, incidence of cervical cancer can be brought down significantly. I am very proud about the quality of medical education in India. The curriculum in India is exhaustive and the study intensive. Added to that is the load of patients, which gives a very good amount of “hands on” experience to the doctors during their trainings. The result is that you get doctors who not only have in depth knowledge about the various disciplines but also good experience even before they embark on their career. 3. Where is India falling behind the world in health? India is definitely falling behind the doctor – patient ratio. It is also lagging behind in the number of paramedical staff- be it nurses, technicians, lab attendants radiographers etc. We need more such paramedical staff as they are the backbone of the hospital. 4.If you think about India in 20 years time, what will the citizens of 2033 wish that we had done in 2013? In 2033, we will wish that the government and the private sector had started more medical colleges, nursing colleges and the like. 6.Which big societal trends do you think will have the most impact on health in India? The improvement in the per capita income of the people of India will have the biggest impact on health in India. It will improve the access an Indian has to better facilities. 7. Which new technology do you think will make a difference to health outcomes in India over the next 20 years? Newer and cheaper diagnostic technologies in health have made the biggest difference to improve the quality of healthcare and health outcomes over the coming years. As a very easy to understand example: during the months of July –August, a patient with high fever can be suffering from either Malaria, Dengue, Cholera or any other viral malaise. Blood tests such as MP, Widal and Dengue antigen can differentiate between these very different diseases and appropriate treatment can be instituted quickly. Without diagnosing correctly and quickly, many precious days are wasted during which the patient’s prognosis worsens. 6. If you could send a message about health, what would it be? My message to everyone is “Wash your hands.” This will help reduce a significant percent of diseases, which are transmitted by the feco- oral route and by fomites. If people in India would just wash their hands with soap and water after all visits to the toilet, before cooking and before meals, infections would really come down. The main killers in India are still not cancers etc but preventable diseases like gastroenteritis, cholera and diarrhoea. 1. In your work experience, do you feel there is rising trend of infertility in India? Is it more in men or women or both? There has been a slight rise in infertility in urban areas and we call this white – collar infertility. It mainly refers to a small subgroup of people who are so busy because of their work and lifestyle, that they are unable to get the chance to have children . In the rural areas of the country, because of prompt diagnosis and treatment of tuberculosis and other pelvic inflammatory diseases, there is a slight falling trend.The world over, infertility is forty percent in men ; forty percent in women and twenty percent because in both. 2. According to an article in the Times Of India last November, “A recent health survey revealed some startling facts — a whopping 46% of Indians, between the ages of 31 and 40, require medical intervention to conceive as one or both partners suffer from fertility problems. What are your comments on this? I will absolutely disagree with this statistic, 46% is a very large number. Various studies and researches would peg this number at between 8 to 15%. 3. What are the main causes for such trends? Lifestyle is a big contributory factor. PCOS- polycystic Ovarian Syndrome is a lifestyle related disorder that causes infertility in a good 50% of patients with this syndrome. Smoking, drinking, being at a non-optimum weight for your height (overweight or underweight) affect your chances of getting pregnant. Delaying getting pregnant due to choices in careers and availability of good contraceptives make you older when you desire to get pregnant and increasing age has an adverse effect on your fertility. 4. What are the most popular treatment procedures that Indians are opting for? Most patients conceive with just simple medicines and timing the fertile period. The most popular treatment procedure in India is Ovulation Induction with medicines. This simple treatment with oral medication ensures ovulation every month and increases chances of a pregnancy. 5. What technology in your opinion has been of the most benefit or made a difference? In Vitro Fertilisation (IVF) was pioneered in the 1980’s by Dr.Edward and Dr. Steptoe. This technology has helped those patients conceive would not have conceived by any other known treatment. It has been a boon for women who have blocked tubes, severe endometriosis, adhesions, for men who have poor sperms, ejaculatory failure and for a host of other ailments. Children born from IVF are as normal as normally conceived children. In fact, the first IVF child ever in the world, Louise Brown, got married, conceived naturally, and a son was born to her in 2006, laying to rest all doubts about the fertility of children conceived by IVF. 6. Do you come across patients having a preference for the male child? It takes all sorts to make up the world, occasionally, we still come across such people but the trend is definitely on the wane in India. 7. Do you think the treatment of infertility should be given a priority in a country where population growth has been so high? In India, there are programmes for stabilising population growth and these are needed. However, treatment of infertility is important as well. Life without an offspring has different implications for men and women. The role of women is very strongly intertwined with motherhood. Also, as a woman ages and goes through the gamut of marriage, pregnancy, delivery and motherhood, her social life alters. As the other women in her age group and social group go through the same roles near about the same timeframes, their focus in life changes together. The quality of friendship is impacted as common topics and interests become scarcer. Many infertile women end up losing contact or isolating themselves from women who have children. When the male partner is the main reason for infertility in the couple, men show significantly higher levels of stress, as virility (and procreation) is valued very strongly by men and infertility is viewed as a challenge to manhood. It is an innate desire of a human being to become a mother or a father. 1.Could you tell us a bit about the work that you do? How did you first get involved in the work that you are currently doing? After having completed my MBBS,I joined AIIMS in New Delhi for my Masters in Obstetrics and Gynaecology and I was posted under a brilliant professor, Dr. Alka Kriplani who is now the Head of Obstetrics and Gynaecology in AIIMS. Treatment of infertility was her favourite sub specialty and during my three years of training with her, I was fascinated by this very challenging discipline. To increase my knowledge of IVF, I visited University of Kiel in Germany as a Fellow and then returned to India to help people here. 2. Why this field? What most excites you about this field’s role in improving health? All specialties of the medical sciences have their own set of challenges but this field brings with it a different kind of happiness at the end of the treatment. The feeling of joy and gratitude, which the parents express and share with the doctor at the end of a successful treatment is priceless. It is about having given the Gift of Life to someone. It is for this feeling that I strive to work daily. 3. What has surprised you most about working with in this field? It is surprising how much resilience the human body has and how well it can respond to treatment. Sometimes a patients infertility is multi-factorial and there are many odds stacked against them. Even before IVF treatment can be done, there is a four step process to make the patient’s body ready for IVF. But results can be very surprising and sometimes even patients with the many complications can conceive. A very positive trend is the level of awareness nowadays. Earlier people would either just be waiting to get pregnant on their own or by performing various kinds of puja-paath (prayers or rituals) and indulging various superstitions. I am now seeing patients coming to us within a year of trying to conceive which is the right thing to as age is a very important determinant of your fertility. The worst thing to happen during treatment is to lose a precious pregnancy. Infertility treatment is not easy, it takes its toll financially as well as emotionally. Then, when a woman becomes pregnant, we feel that the tough days are over and only better days are here to follow. In her mind, she already has the bonny baby in her arms. Then, if for any reason she ends up losing the baby in a miscarriage, it is very devastating for her. I can only imagine the trauma she goes through but it is a very bad experience for me too. Good things happen very often , that is, when a patient become pregnant. It happens very so often and is very rewarding. I think people will be surprised at how involved I can get in my work and at my capacity to remember details, data and facts about my patients. I think one leads to the other. When I am not working, I am reading. Currently, I am reading translations of Haruki Murakami.